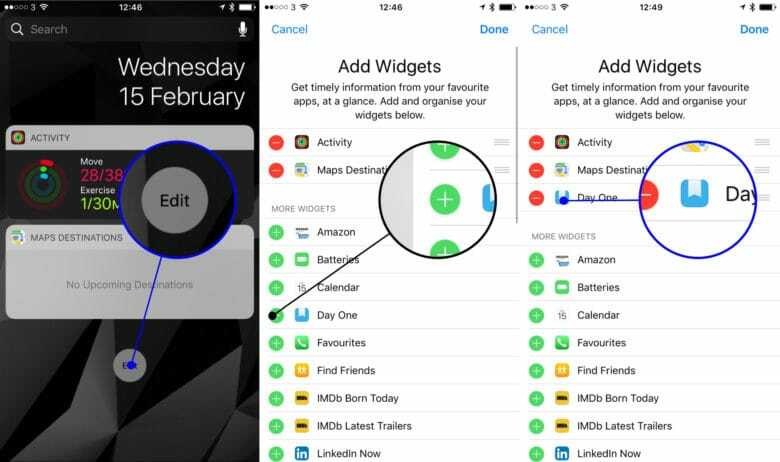 These apps' iOS widgets will give your iPhone superpowers. iOS widgets are a great way to check in on your day. Apple gave us its own take on widgets with the core apps built into iOS 10, but you can do better. Dark Sky is one of the best weather apps on iOS. 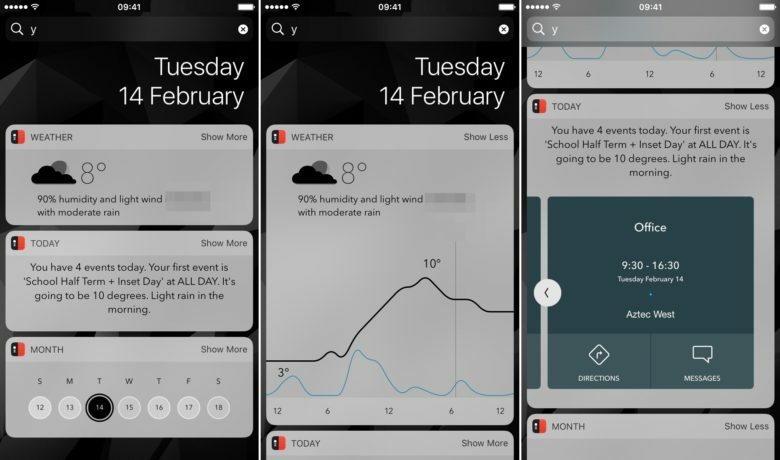 It’s widget gives amazingly accurate updates on what’s currently going on with the weather. This hyperlocal weather information beats Apple’s stock Weather app when you want to see what’s going to be happening for the next few hours in your location. Google Keep is a great alternative to Apple Notes. Apple Notes got a lot of great updates over the last few years but it remains quite boring visually. Google Keep offers everything Notes does but also includes the ability to color your notes and add labels. This allows you to quickly categorize your information and use it almost like a full-fledged to-do app. 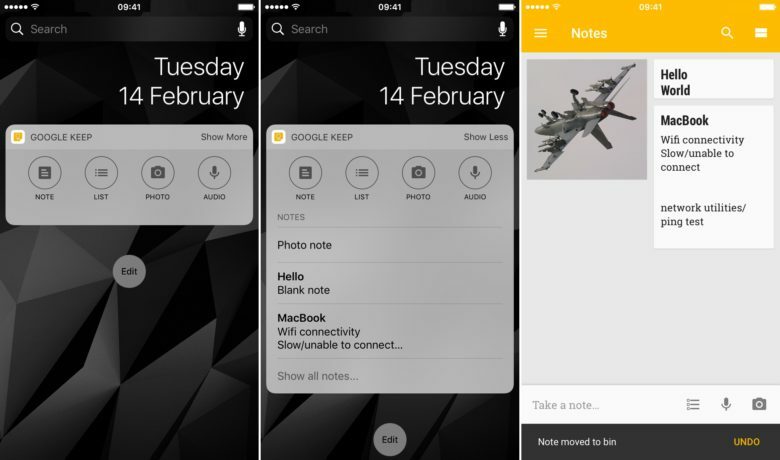 The widget even lets you create new notes without loading the app, something that Apple Notes doesn’t. 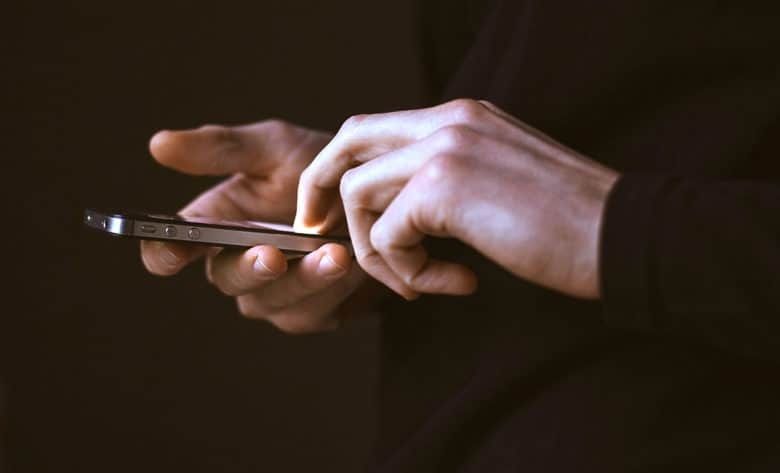 Trade in Reminders for a more powerful productivity app. Apple gives you Reminders for free, but it’s hard to call it a full-featured to-do app. OmniFocus 2, on the other hand, can practically become your second brain. 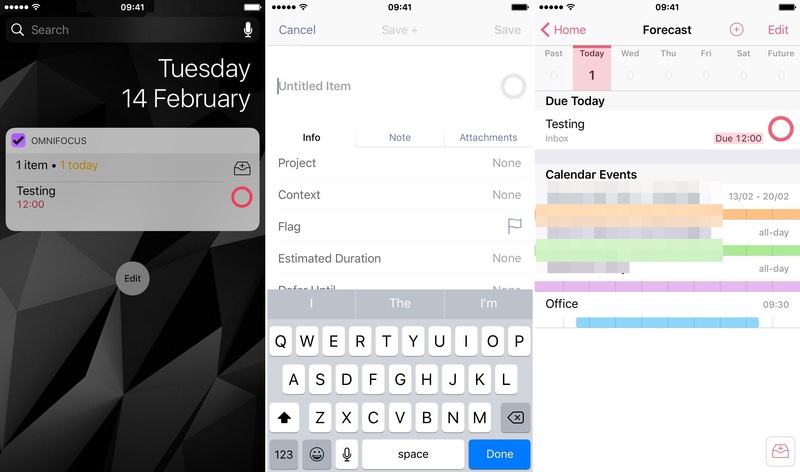 The OmniFocus widget allows you to see exactly what you’ve got scheduled for today, and also lets you add new items to your inbox. 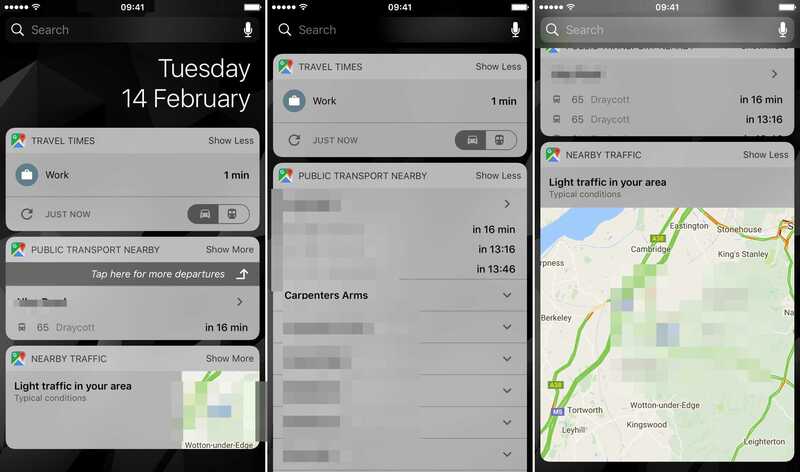 Google Maps widgets are more visual than the ones that come with Apple Maps. Apple Maps is a lot better than it used to be, but Google Maps still has it beat in some key areas. The Google Maps widgets in iOS 10 are a great addition, including the ability to see current traffic information without launching the app itself. Fantastical 2 offers a great alternative to Calendar. There’s a lot to like about Apple’s built-in Calendar app, but Fantastical 2 it beats it handily when it comes to visuals. With a clean UI and natural language on offer to create new entries quickly and easily (e.g., “Call Mom at 4 p.m. tomorrow”), it’s a winner for those who depend on an iOS calendar. 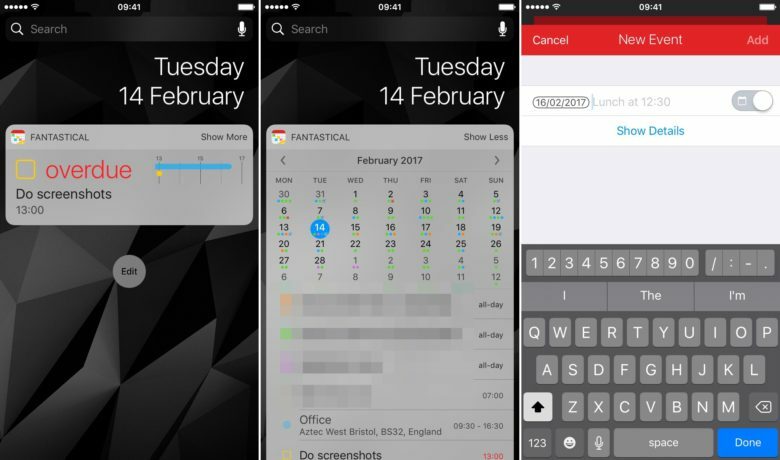 The Fantastical 2 widget is more powerful than it looks, with the ability to view a summary or all your appointments and even create entries. 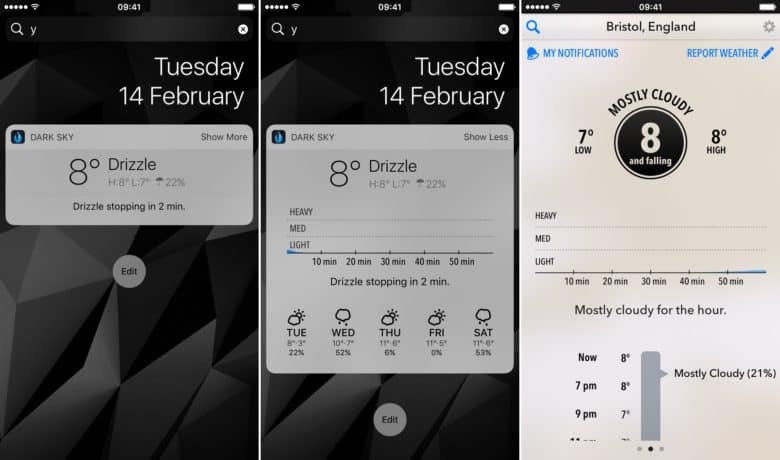 Timepage can combine weather with calendar information. Moleskine’s Timepage, another great Calendar replacement, serves up information in a very visually pleasing way — and the number of widgets it offers is unprecedented. It can show a summary of your day, the weather and some future planning with a look at the coming week. Accessing your Today view can be done from two places in iOS: the Lock screen and the Home screen. From either of those, simply swipe right to see the Today view. Adding new iOS widgets is straightforward enough. Many of your favorite apps will have an accompanying widget that surfaces useful data. You will need to add each widget to your Today view individually. In the Today view, scroll to the bottom of the display page. Underneath the last widget, tap the Edit button. Then use Touch ID or enter your passcode to unlock your device if necessary. You’ll see a list of all available widgets, with your current widgets at the top. If there’s one you don’t want in your Today view, tap the red “-” symbol to delete it. To see other available widgets, scroll down to More Widgets. Tap the green “+” symbol next to a widget to add it to Today view. If you want to reorder the widgets, touch and hold the small gray icon consisting of three horizontal bars at right to drag and move a widget up or down in the list. Tap Done to save any changes you’ve made. What are your favorite third-party iOS widgets? We’re always on the lookout for new and useful iOS widgets. What are some of your favorites?